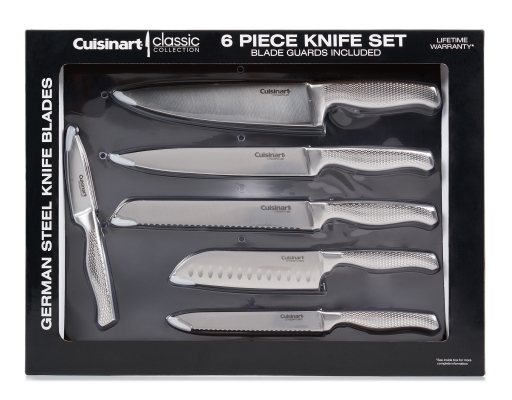 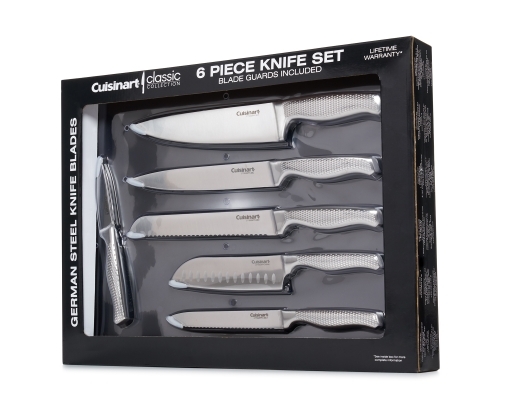 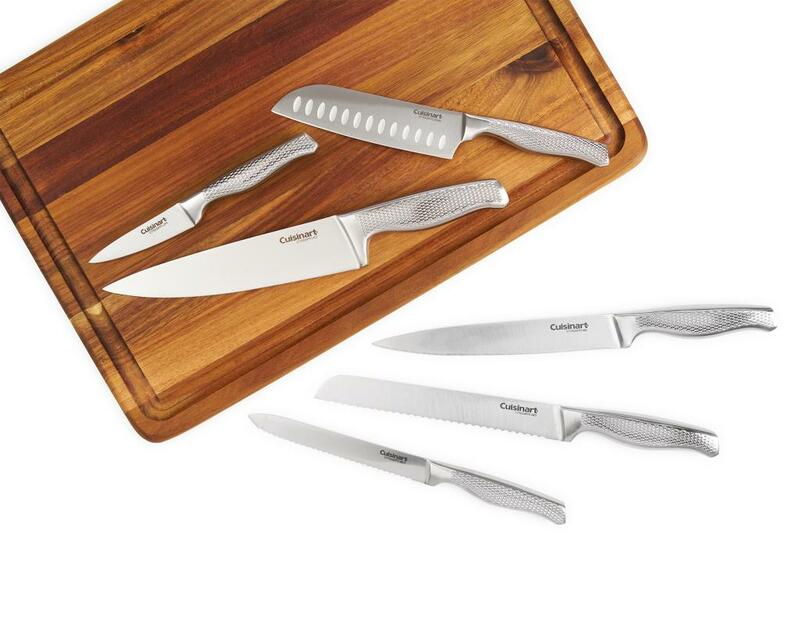 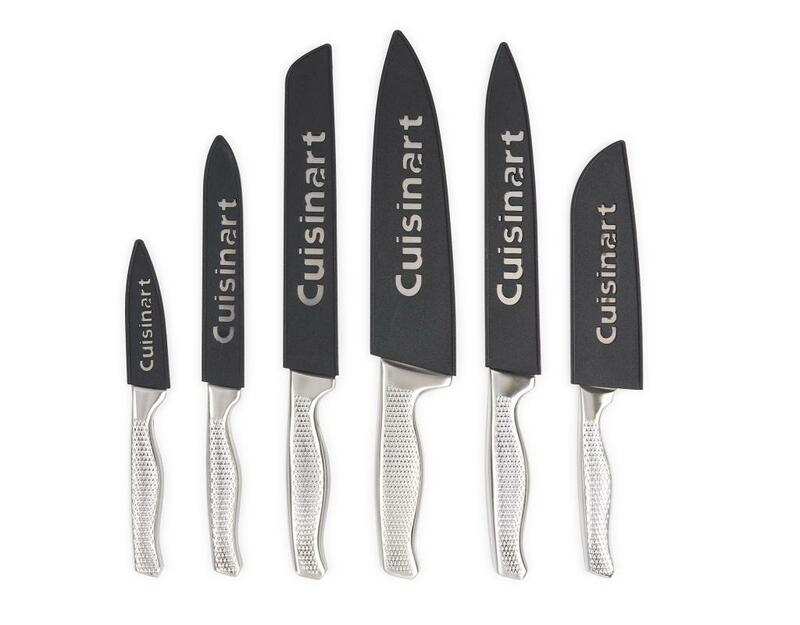 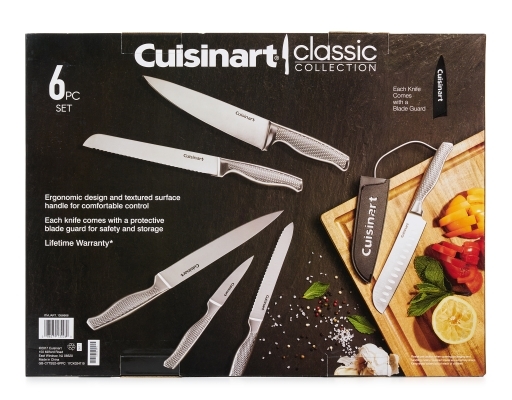 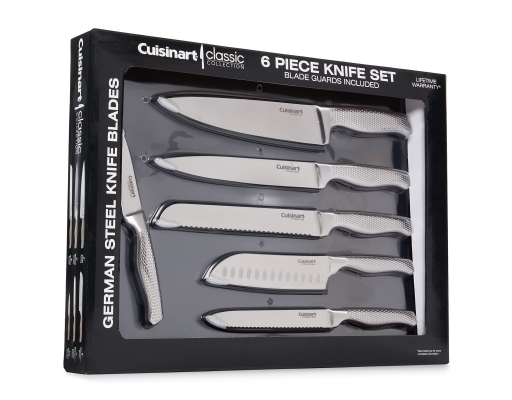 Cuisinart Classic Knives are made with a superior German stainless steel blade for precision cutting. 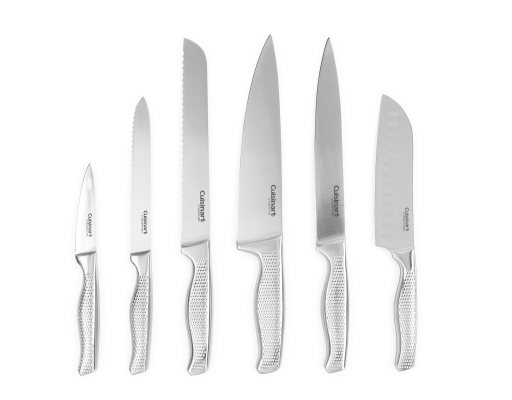 The uniquely designed textured handle is ergonomic for a comfortable feel and extra control. 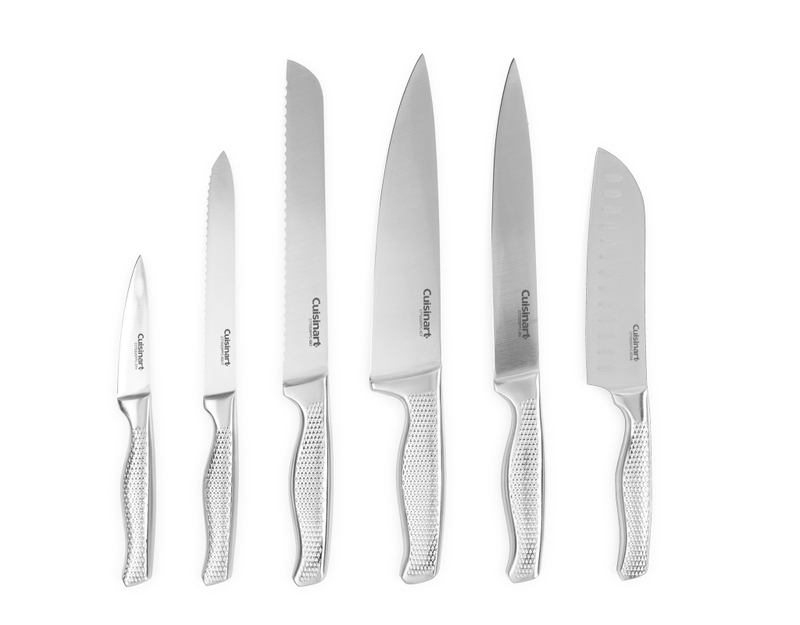 Each knife comes with a protective blade guard for safety and storage. These Cuisinart knives have superior cutting and will fit in the décor of any kitchen as well as meet the needs of any style of cooking.